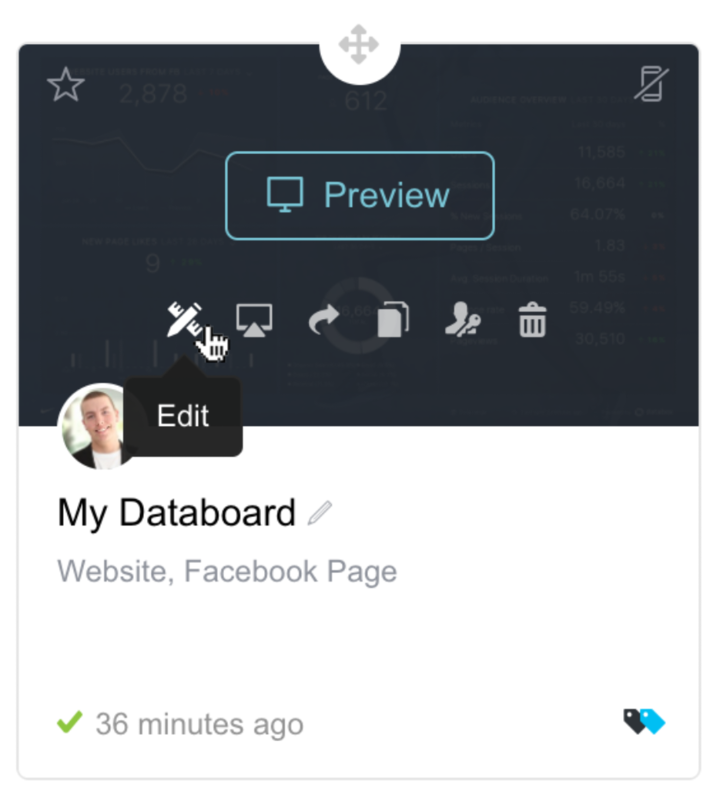 Databoard Snapshots can be shared with anyone, regardless of whether they have a Databox account set up. Navigate to "Databoards" in the top menu bar. Select a databoard which you want to share and click on "Share Databoard"icon. Select a databoard which you want to share and click on "Edit" icon. Click on the share icon in the Designer. This will open the databoard streaming settings. Click on "Scheduled snapshot" tab. Enter the email addresses that you want to share this Databoard with. Separate email addresses with commas. Set Frequency. You can send a snapshot right away or schedule them to be periodically sent. The options are Daily (by defining the time), Weekly (by defining the day of the week), Monthly (by defining the day of the month) or Quarterly (when set to Quarterly it will be sent on the 1st day of each quarter at 9:00 AM). Defining the sharing interval only the defines the moment a Databoard will be captured and sent to the recipient. This has no impact on any date ranges set on the Databoard. Add a note if you want to describe metrics or provide additional context, then click the "Schedule" button to save settings for sharing a scheduled snapshot or "Send" to send a snapshot right now. An email with an attached jpg showing the databoard at the specified moment in time will be sent to recipients. All scheduled events will be listed at the bottom of the popup and can be either edited (click on pen icon on the left) or deleted (red trashcan icon on the right).